Kestrel is a bird of prey, who the majority of birds are afraid of. 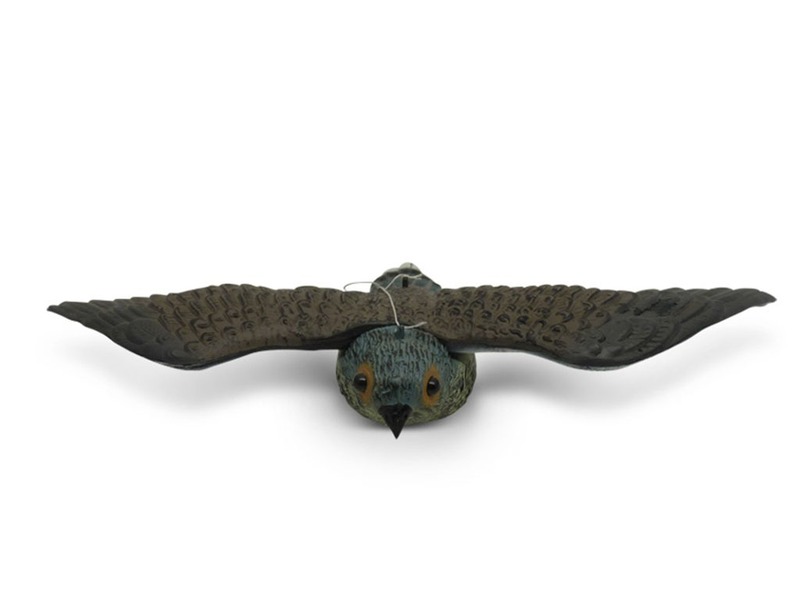 Kestrel figure is recommended to be hung high on a pole or a tree branch in a way that the wind would move the figure around on an area that is as large as possible. 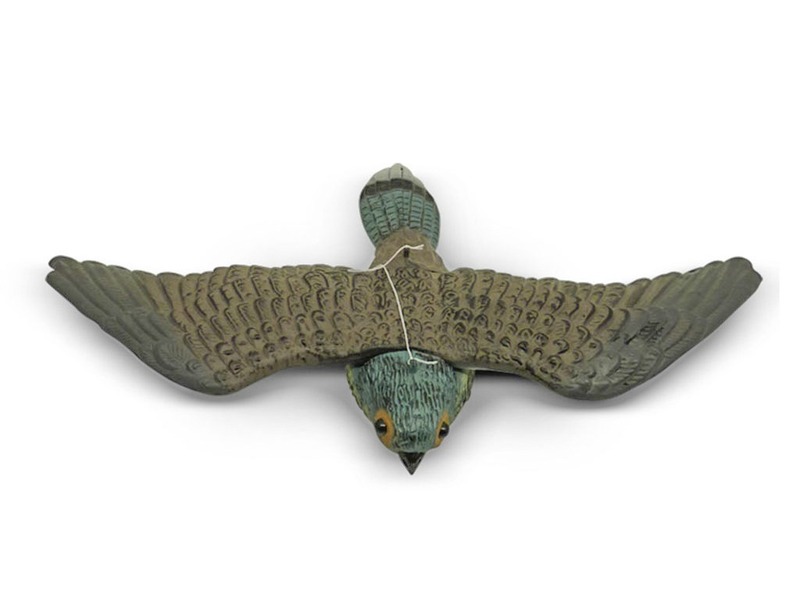 Suitable for small gardens as a bird scarer, as well as a nice decoration. Dimensions 540 x 80 x 140 mm.